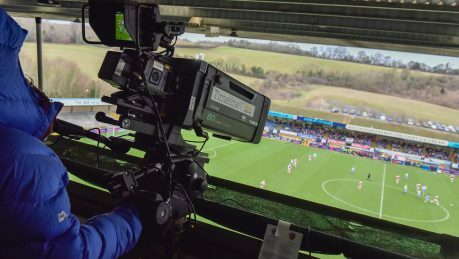 Timeline TV kicks off innovative remote production for FA Women’s Super League - Timeline Television Ltd.
For the FA Women’s Super League (WSL), the 2018/2019 season is its first as a fully professional league, so for Whisper Films and technical partner Timeline Television, delivering comprehensive, broadcast ready coverage that matched this new status was a key goal. This production contract has been the first use of a revolutionary remote production system, devised by Timeline Television, which harnesses fast internet channels to send live match footage to a central control system housed at Timeline’s Ealing Studios’ HQ. • Remote camera racking is essential for high quality TV pictures and required a new innovative approach to data transmission while keeping the on-site operation as simple as possible. • Effective communication from the production gallery to the team on the ground is essential and so Timeline developed a fully featured talkback network delivered via a mobile phone app. • Presenters at the location need to see the programme output with minimum delay so Timeline’s IP engineering team have developed a low latency streaming solution working with a portable high brightness monitor. Timeline worked with Mobile Viewpoint to develop a 4G bonding & IP transmission solution in a backpack. The backpack integrates a transmitter and the camera control interface systems to deliver full functionality in a single, portable package. Working with Blackmagic, Timeline developed an innovative system built within a Blackmagic Design camera system environment, utilising Blackmagic’s open SDI camera control protocol to build a bespoke control solution. As for future plans, Timeline will continue to provide all the Women’s Super League footage with the remote production system, but its efficiency and technical capabilities could be easily transferred to other sporting leagues, tournaments and touring events. 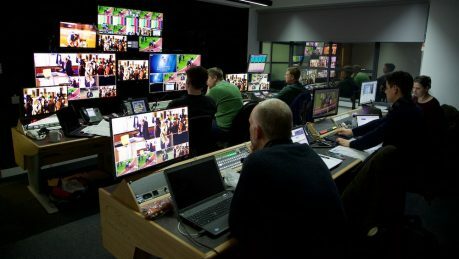 “The ability to control an entire multicamera system via IP means that we can produce comprehensive coverage of high-profile events from anywhere in the world, without having to send a huge amount of staff or equipment out to the venues. Plus, the future rollout of 5G will support higher quality transmission and more widespread production opportunities.” Dan concludes.